Is Turning the Other Cheek a Jewish Value? Is it Always Wrong to Fight Back? May I Peek Through Someone’s Window? Is there a Moral Side of Murder? Is it Wrong to Make as Much Money as Possible? Can I Sneak a Grape or Two While Shopping? Would You Take a Pill to Become Smarter? Is there an Obligation to be Healthy? Does it Matter Where I Shop? Can I Stop a Co-Worker from Smoking in the Office? How Should I Rebuke Him? What do I Owe my Aging Parents? Must I support my ailing parents? What obligations are there to an abusive parent? 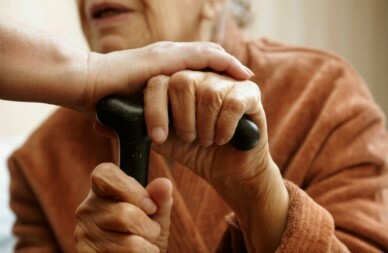 Who pays for a parents medical or nursing home expenses? Tuesday, October 9, 12:30-1:30PM: Elkins Park Train Station Meeting Room, 7876 Spring Ave.
​Eva Kramer (Chava bat Baruch, 1930-1989) was a paragon of Jewish ethics and goodness with a lifelong commitment to Jewish education. Her values live on through her family, friends and educational programs at synagogues - and now at the Institute for Jewish Ethics.